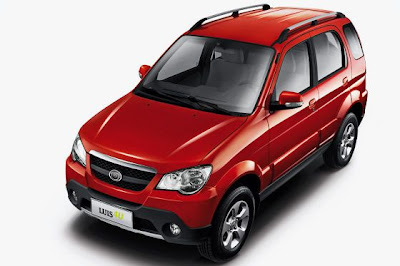 Few have heard of Zotye Auto or its 5008EV, which is an updated version of the Daihatsu Terios based EV we had a look at back in June 2009. But the company has now gained the distinction of being the first Chinese automaker to launch an all-electric vehicle for individual buyers in China. Li Ziqiang, a Hangzhou resident, bought the 5008EV from the Zhejiang-based private manufacturer on July 26 after leasing a 2008EV model based on the company's small SUV for six months. In January this year, Zotye had put 100 units of its 2008EV model up for lease in Hangzhou to be tested for daily use. Li was one of those who paid 2,500 yuan a month to lease the car and made the decision to buy one after he learned about a government subsidy for new-energy vehicles, said a report of Qianjiang Evening News, a local newspaper in Hangzhou. A source with Zotye Auto told China Daily that the company recently began accepting orders for its electric models but without a uniform price, since various cities have different subsidies for green vehicles. Shenzhen-based BYD Co, well-known as the electric car pioneer in China, has yet to offer its purely electric model E6 for sale to individual buyers. The company currently has 40 of its E6 models running on the streets of Shenzhen as taxis. In view of the competition from Zotye, BYD has said that the E6 will be sold to individual customers later this year.